The Santa Cruz Chameleon was designed as an all-purpose bike, capable of serving as a hardtail, a fully rigid lightweight, or a single speed with convertible horizontal dropouts. 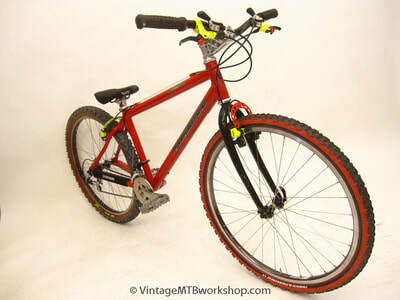 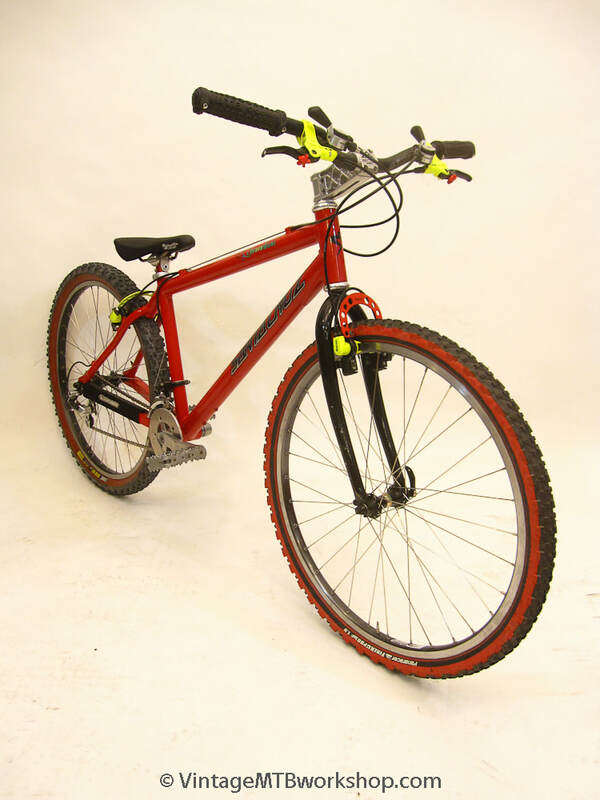 In a small size, the bike could be used for dirt jumping or trials riding, as this bike is set up. 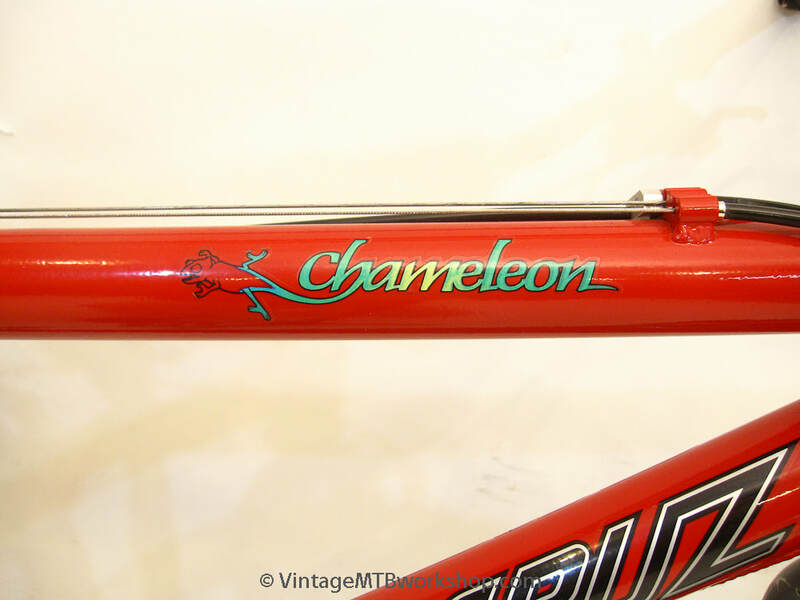 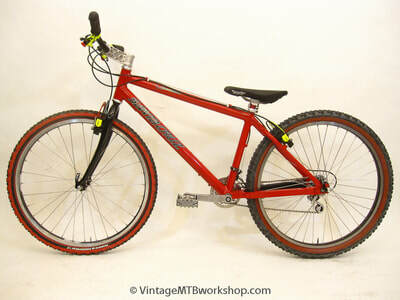 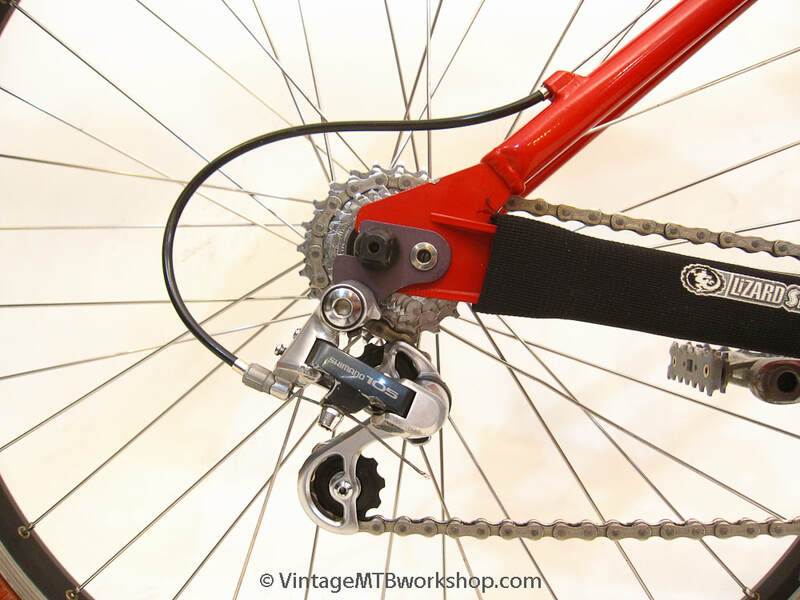 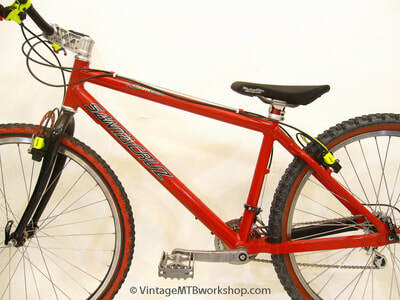 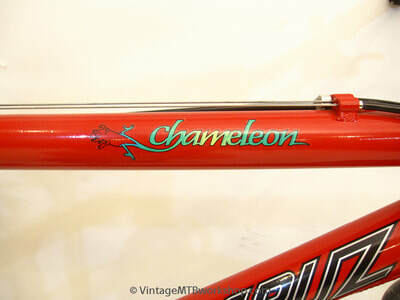 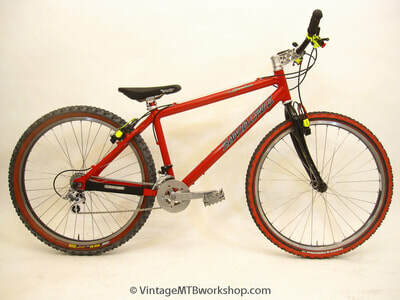 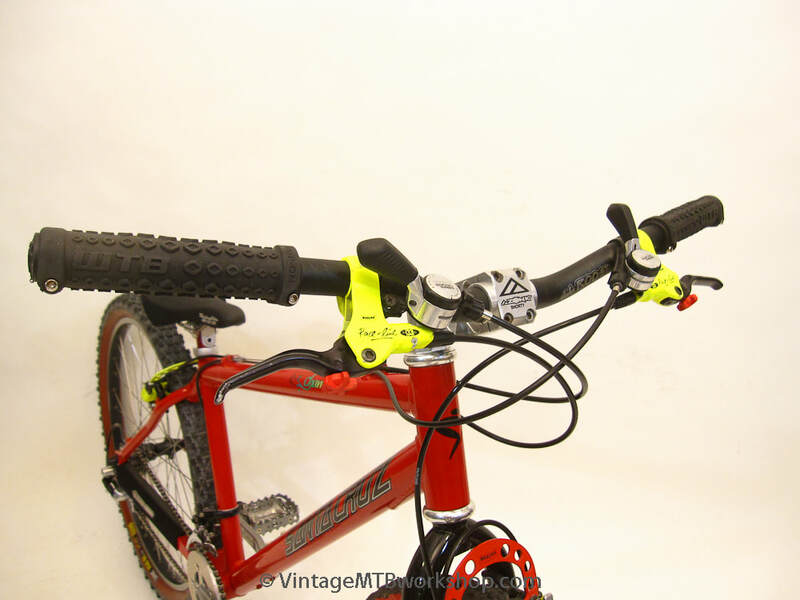 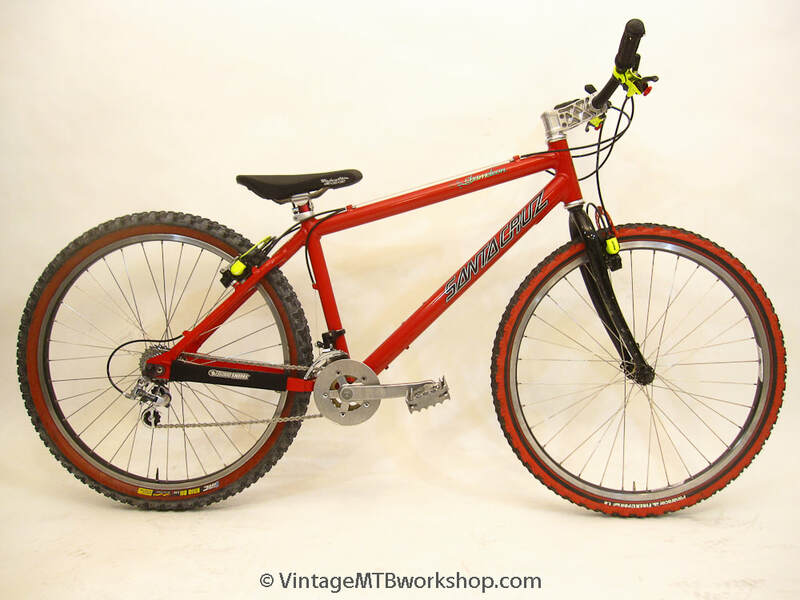 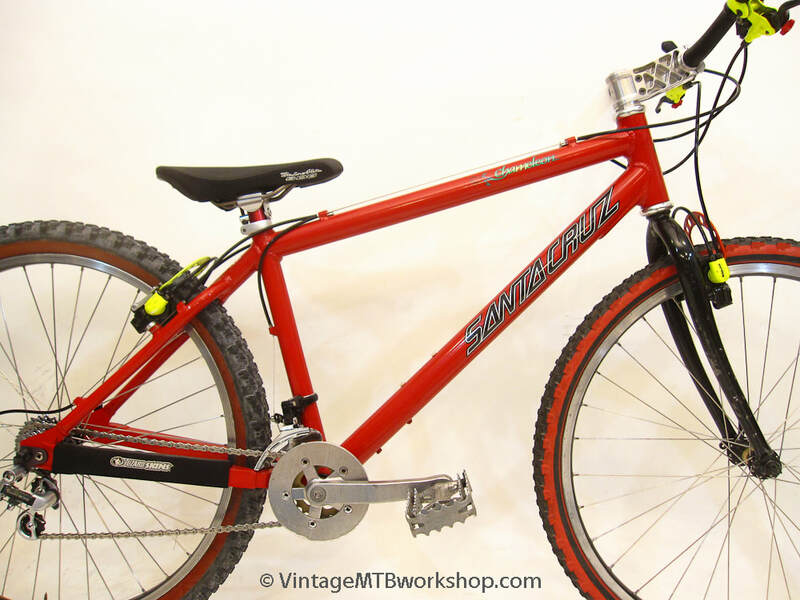 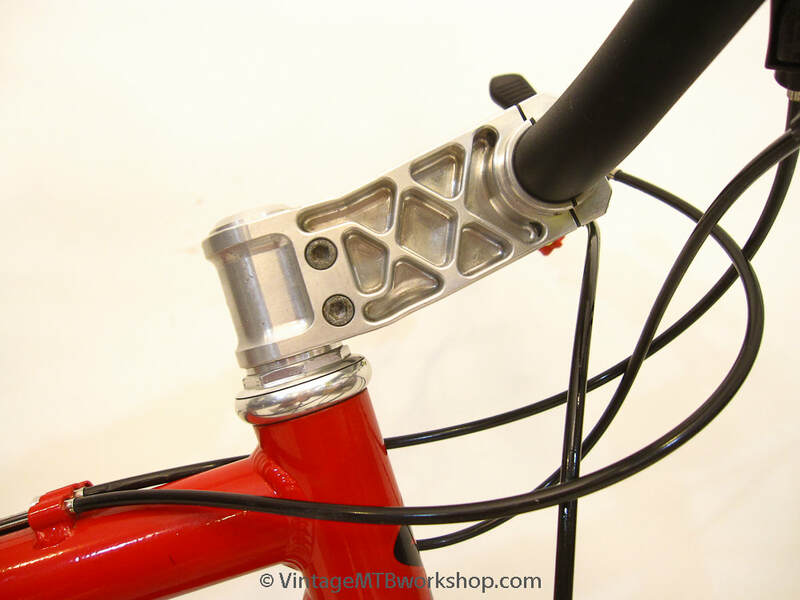 The trials configuration is typical of the era, with short cage rear derailleur, tight road bike cog set, and Magura rim brakes. 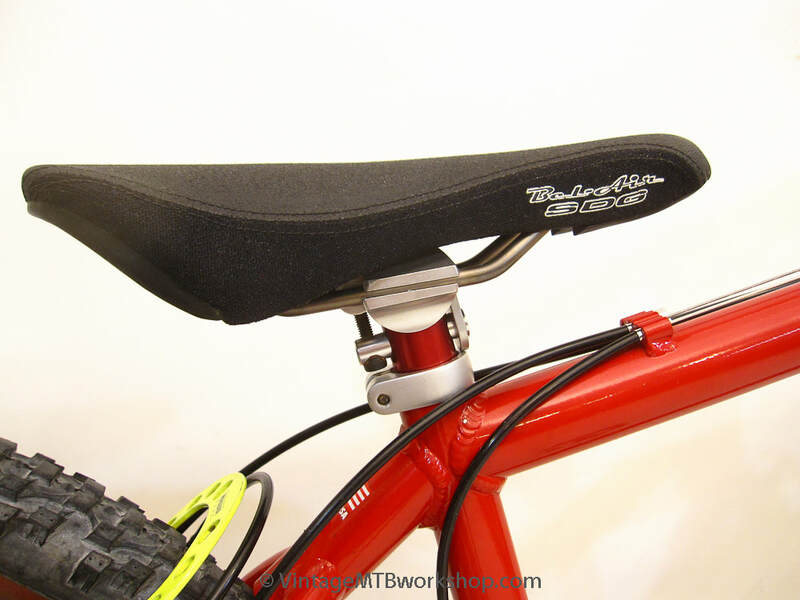 The top of the seattube has been trimmed so the saddle can drop a bit lower. 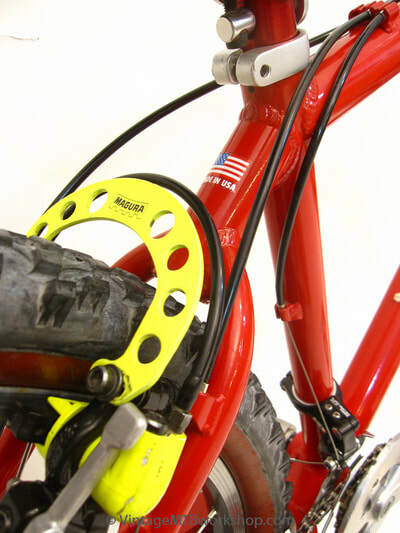 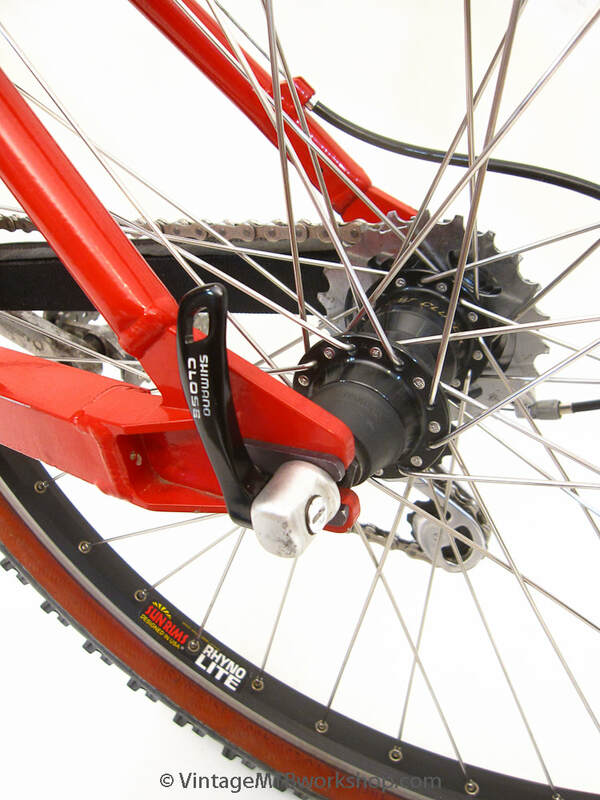 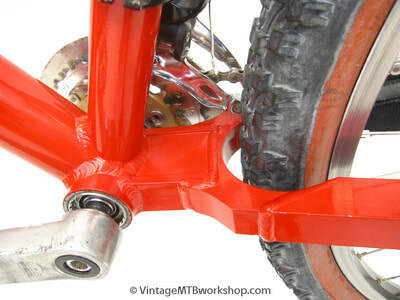 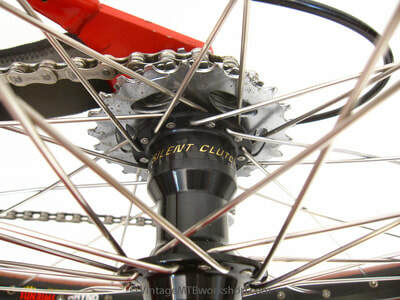 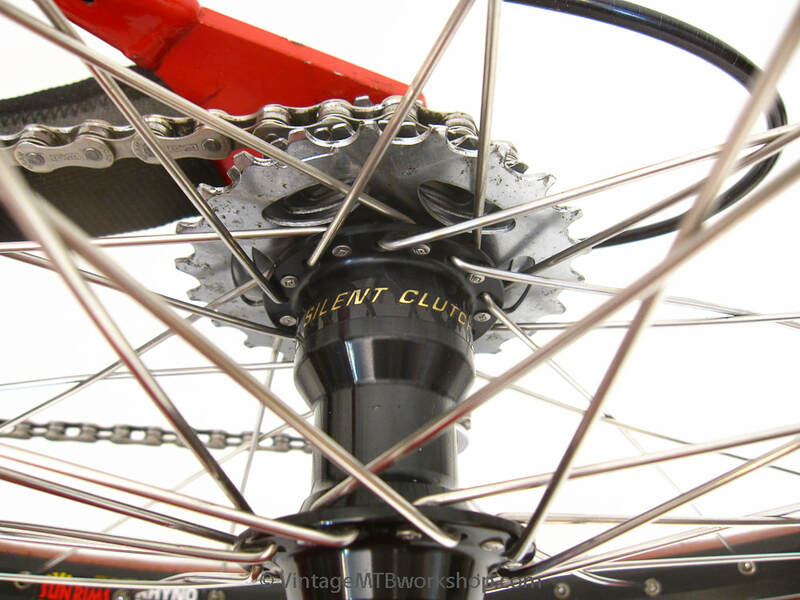 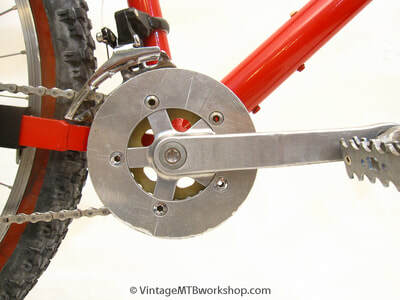 A double chainring up front allows the bike to be ridden to sessions, and a long seatpost facilitates riding wheelies.